Indian automotive market is slated to become the third largest automotive market in the world after China and the US with a big portion of the growth coming from the A and B segments. Thus, there will be a strong demand for lowering the cost of upscale and luxury technologies such as soft touch and smart surfaces in auto interiors. As shared mobility and electric vehicles gain importance, automotive interiors are also expected to undergo changes. The revolution of innovation in auto interiors has just begun, says Rakesh Rao. Speaking at India's ever first Global Mobility Summit, MOVE, in New Delhi on September 7, 2018, Prime Minister Narendra Modi presented a very optimistic picture for electric vehicles (EVs) and shared mobility in India. For the better future of mobility in India, he emphasised on 7Cs - common (common man), connected (conjunction), convenient, congestion-free (barrier-less), charging, clean and cutting-edge (new methods of development). “Shared mobility will be adopted much faster by the Indian diaspora than a significant growth in EVs. Shared mobility concept is already in use via some of the ride sharing companies like Ola, Uber etc. and it will continue to grow especially in crowded urban areas like the big four metropolis and other rising B-cities. EV introduction will be faster in buses and fleet vehicles than in personal vehicles due to constraints in charging infrastructure for personal use,” says Gajanan Gandhe, Senior Vice President of Asia Operations, International Automotive Components (IAC). As electrification trend goes up, there will be stronger need for connectivity and continuous monitoring of battery life, traffic, and other features that will have to be integrated into the vehicle. “The EV interiors will have less of aesthetic focus and more of electronics integration, especially in the low end vehicles. As luxury EVs like Tesla and BMWs make their way into the Indian market, it will change the requirements to a sophisticated, luxurious and functionally intergrated interiors,” informs Gandhe. According to him, electrification will have a good effect in terms of interiors getting importance or more focus than before and so will become a unique value proposition for OEMs. “But, it will still be substantial years before the electric vehicles (particularly PVs) on Indian roads are going to be seen in abundance, given the absence of appropriate infrastructure in the country,” he adds. Indian automotive market is slated for a significant growth in the next decade possibly making it the third largest automotive market in the world after China and the US. As a big portion of the growth will take place in the A and B segments, there will be a strong demand for lowering the cost of upscale and luxury technologies such as soft touch and smart surfaces that integrate the use of multiple materials and processes and high end electronics integration, ambient interior lighting and recyclable and bio-degradable materials into the design of the interior. Gajanan Gandhe explains, “There is a huge opportunity for suppliers of raw materials, and innovative processes and technologies in these areas to localise their products in the Indian market using the 'Make in India' scheme to address the needs of the Indian market and also explore the opportunities for exports to other markets worldwide. IAC has contributed to this by bringing many global suppliers or their technology to locally produce in India there by reducing the cost to be suited to Indian requirements. We also continue to invest ourselves in many of these technologies to offer our customers the ability to integrate high end features into their small and medium vehicles at a reasonable cost. However there is a large list of materials and technology suppliers that are yet to localise and expand their operations in India.” With India emerging as one of the leading markets for automotive, many auto interiors players are consolidating their presence in the country to offer the best possible service to their customers. Also, suppliers are moving closer to their customers – the OEMs. For example, Spanish firm Grupo Antolin opened a new center in Sanand (Gujarat) in May 2016 after automakers like Ford and Tata Motors opened their facilities in the new auto manufacturing hub of the country. The plant, which is equipped with the latest technology, manufactures overhead systems, sunvisors and plastic parts for the interior of automobiles. Similarly, IAC recently inaugurated a brand new facility in Manesar to service the needs of its customers in North and Central India. “IAC India is growing faster than the overall growth of the Indian automotive market. We have invested in brand new technologies for interior plastics, headliners and flooring in this facility which should help us address the growth in that region. We will also be shortly inaugurating a brand new, state of the art interior manufacturing facility in Nashik for our customers in the western and central regions. Both these plants will address a significant number of new product launches for our customers, both in the PV and UV as well as commercial vehicle segments,” informs Gajanan Gandhe. Rise in usage of electronics in vehicles is making a difference to the way interiors are designed and made. As a result, a merger between interior trim and electronics used in the automotive interior is more common today. “Electronics are contributing significantly for the advancement towards semi-autonomous and autonomous vehicles. Many electronic features such as hands free technology, heads up display, interior lighting, multiple sensors inside and outside the vehicle for autonomous driving, safety features that allow better control of vehicles while driving as well as during accidents, highly accurate and integrated navigation systems etc are improving the comfort and assurance for the drivers and passengers of the vehicle. Planning for integration of these devices into the interior design strategy begins well ahead of the overall styling of the car interiors.” says Gajanan Gandhe. Once the overall product strategy is defined, the styling team incorporates all the advance features into the design before detail engineering activity is undertaken. This obviously involves an early system involvement from major interior suppliers to ensure overall harmony and functionality of the vehicle interiors. The booming automotives sales in India is attracting many new global auto makers to set up their manufacturing base in the country. For example, Kia Motors, an affiliate of Hyundai Motor, is reportedly planning to invest $ 2 billion (Rs 12,750 crore) in India over the next two years to set up a manufacturing plant and develop a supplier base. The South Korean auto maker is building a factory in Andhra Pradesh’s Anantapur district, which is likely to spur up demand for auto components (including interior products). To tap opportunity such as this and others, Faurecia Interiors, a supplier to auto majors, is also setting up a new plant in Andhra Pradesh. “Opening of new Faurecia Interiors plant at Ammavarupalli (Andhra Pradesh) inside Kia Motors Supplier Park is a significant move for Faurecia in India and is scheduled to be commissioned in the first quarter of 2019. The new facility will provide near-term capacity improvements and also allow Faurecia to bring forth a renewed commitment to India’s automotive OEM segment,” says Vidyadhar Limaye. Faurecia Interiors, which started its India operations in 2013, is a leading supplier of instrument panels, door panels, center consoles and airvents to OEMs like Ford, Renault-Nissan, FCA, Isuzu, Fiat, Hyundai, PSA, Tata Motors and Kia Mobis. At present, it has four manufacturing units (two each in Chennai and Pune) and a technical center in Pune (with complete range of engineering capabilities like innovation, A-surface design and development, product process validation, benchmarking and competency for mechanism activities like airvents, mobile docking devices, cup-holders, armrests, roller shutter door etc). “Going ahead, the company looks to maintain its technological advantage to offer products / services to OEMs in India, very much aligned to the dynamically changing landscape in the automotive industry in India where technology content is getting richer day by day,” says Limaye. Rise in industrial and infrastructure activities last year has been a boon to commercial vehicles segment. Interiors of commercial vehicles are different from that of passenger vehicles in terms of customer needs, style, materials used, comfort, design, etc and, hence, it requires a specialist. “In case of commercial vehicles, the number of component variants required is much higher as compared to passenger vehicles. Hence, the tool cost for commercial vehicle interiors becomes a major concern as the volumes are much lower as compared to passenger vehicles. Another concern is that every fleet operator expects their buses to be distinguished from the others which results in plethora of seat upholstery options to be readily available. This is the reason why OEMs avoid investing in tooling costs but are willing to pay additional cost for the components. It makes it easy to do changeover of designs quickly,” said Sudhir Mehta, Chairman & Managing Director, Pinnacle Industries Limited, which provides a wide range of seating systems and interior products for all segments of commercial vehicles. The Indian commercial vehicle industry is witnessing strong growth due to revival in sales, aided by the higher government spending on infrastructure, greater replacement demand and easing of GST-led disruption. It is set to further improve its performance and is pitted to continue its growth momentum in double-digits at 10-12 per cent. “Last year, we achieved 15 per cent year-on-year (YoY) sales growth, given the disruptive market scenario. We also introduced our vehicle customisation and conversion division, Pinnacle Speciality Vehicles, this year at the Auto Expo. 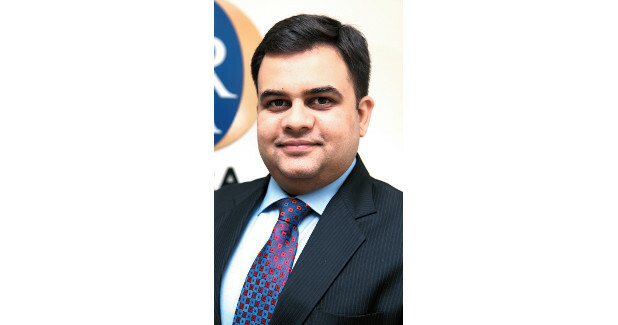 We expect to increase our market share in the current financial year,” says Sudhir Mehta. Pinnacle Industries has created Pinnacle Speciality Vehicles (PSV) division for customisation and conversion of vehicles for commercial and personal use. “We have set up most technologically advanced vehicle conversion facility with a conversion capacity of 100 vehicles per month. With state-of-the-art manufacturing facility, design studio, modern production and top automotive designers and engineers; PSV customises every detail of a vehicle with finesse and delivers the level of perfection and quality expected from Pinnacle. PSV’s dynamic & sophisticated designs, exceptional engineering and unrivalled craftsmanship guarantees customers a unique & unforgettable experience,” says Sudhir Mehta. Suppliers are also focusing on providing specialised services and solutions to meet the customer’s high expectations. “Globally as well as in India, Faurecia Interiors is trying to align its strategy towards moving from being a commodity-based supplier (supplying parts such as door panels, center consoles, instrument panels and others) to becoming a technology company. In India, the company aims to position itself as the only supplier with the required capabilities to help the carmakers transform automotive interiors in their respective products in line with the rapid transformation,” opines Vidyadhar Limaye. Faurecia is aggressively working on its R&D on interior systems that include connectivity, human machine interface, integration of electronics and other complex domains, in order to bring ‘Smart Life on Board’ which is one of the key strategic priorities for Faurecia. “The company at the same time will continue on its lead on providing soft technologies and India centric innovations to its customers,” he adds. With rising purchasing power, customers are demanding high-quality interiors even in entry-level vehicles in India. This is opening up new window of opportunities for providers of auto interior products and solutions. Prashant Kalgaonkar, Strategic Account Manager - Automotive, Lectra Technologies India Pvt Ltd, explains, “With rising demands, OEMs/tier I suppliers are introducing high end fabric for entry level cars as well and, hence, there is a need for optimum solution fitment to cater to these demands. There is pressure on manufacturers on the cost and, therefore, it is paramount for them to make best fitment which is techno-commercially viable. Thus, increase demand on optimised designs to save on fabric consumption, in the early stages of the product lifecycle, becomes mantra for success. Lectra through its CAD software for automotive viz Formaris, Diamino, DC2D and DC3D are able to support them in fulfilling these stringent design needs.” Lectra supports soft material and works closely with all the tier suppliers, automotive OEMs in car seat design and manufacturing. It offers integrated platform from CAD to cutting room. In line with increasing customers’ aspirations to have luxury content in their car interiors, use of high-end upholstery for car seat is increasing. “Customers need seat colour that matches with the interiors. They are demanding theme based car seats along with steering wheel covers. Use of leather (hides) is also up, with customers/OEMs looking for a combination of leather and high quality fabric seats and trims,” says Prashant Kalgaonkar. To give a boost to its India business, Lectra is focusing on key accounts in automotive T1 suppliers and OEMs so that it can continue to be their strategic technology partners in seat designing & manufacturing and airbag cutting. “We work closely with design and development centres in making cost effective (techno-commercially viable) designs. We aim to be the leading player in car seat design and manufacturing. With Lectra’s increasingly leadership position in airbags manufacturing, a strong impetus on air bag manufacturing in India as it is a mandatory feature for all car models in India going forward,” states Prashant Kalgaonkar. As the Indian automotive market doubles from 3 million vehicles to 6 million by 2020 and consumers expecting world class quality products, auto interiors market is poised to grow at a much faster rate in the future with specialised, customised solutions being the order of the day. In India, the soft-touch instrument panels are gaining a momentum in the market as the customers outlook is shifting from basic variants to value variants and undoubtedly the premium variant demands will also get a boost going ahead. As for the impact of the growth in shared mobility on interiors, it will result in a significant change in the thought process of how the interiors are designed for safety, comfort and personalised features. The number of component variants required (in CVs) is much higher as compared to PVs. Hence, the tool cost for commercial vehicle interiors becomes a major concern as the volumes are much lower as compared to PVs. With rising demands, OEMs/tier I suppliers are introducing high end fabric for entry level cars as well and, hence, there is a need for optimum solution fitment to cater to these demands.